Last week I broke down Logan. I wanted to include Laura in it because she’s so damn critical to its excellence, but the more I wrote the more I realized trying to put her in with the other heart-wrenching realities of the movie didn’t quite serve her. She’s so strong. From jumpstreet to finish. You start to think about what “strong” means and you start to grasp just how salient the character was presented at every turn. Chalk that up to James Gunn wanting to “make a movie less about information and more about character,” but don’t take it lightly. The almost-default meaning of strong regards physical strength. We saw how strong she was almost instantly when the bounty hunters find her out with Logan and Charles. When she cut off the one dude’s head and carried it out front, and rolled it to the rest of the bounty hunters waiting for her, it was a challenge. It was a dare to the schoolyard bully to test her one more time. And through hurricanranas and knee slides to take out guys’ legs, we had zero opportunity to mistake her ability as token. That speaks to a mental strength, too. 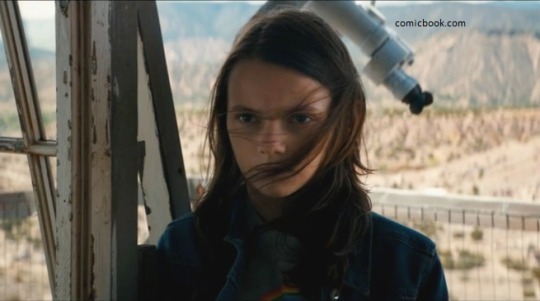 We could see the resistance in her that we saw in Logan for so many years, particularly if you’re a fan of the old cartoon and through the comics. Her telling Logan how Charles said Logan would want to die, and not to let him…it displayed a tremendous amount of understanding, of something more than just her or any single person. It was a matter of principle, that sometimes people don’t know what’s best and to make sure they get what is, she’ll be the agent for them finding out. Laura isn’t short on emotional strength, either. She’s quick to kill and reluctant to listen but does both of those things. That requires an ability to observe one’s self in a tug-of-war kind of way. And then there are times that she simply didn’t hold back, like when she freaked on Logan to take her to Eden. Or, if you’re really into getting gut punched while watching a movie, when she cries at the end at Logan’s death and grave. The value of emotional strength might be highest of all these. 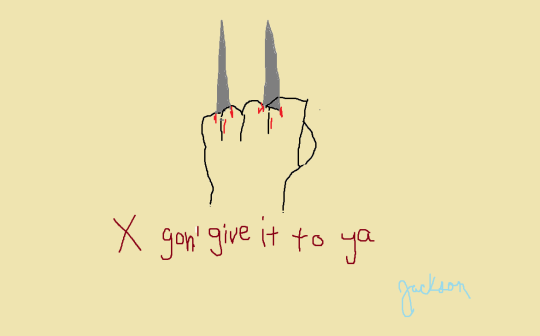 Maybe she’s got something more that Logan didn’t. Maybe she doesn’t but we can see it that way because with her age comes purity; comes a transcendent type of experience that, like Gunn said, we would feel more than think about. But it was there and gives Laura a vigorous base to stand on.